This title is directed primarily towards health care professionals outside of the United States. For most dermatological conditions several treatment and/or management options are available, making the situation even more complicated. 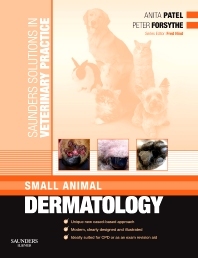 Small Animal Dermatology is a handy reference for these cases and encourages the practitioner to pursue a definitive diagnosis and plan effective management even if the condition can not be cured.